Ottawa-based Wide Angle Recordings recently unveiled Arcadia, by Bulgarian producer/DJ PHM; his debut on the progressive Canadian label. As well as the three-track EP, PHM also provided an hour-long mix for the label's podcast series, Cityscape Sessions. 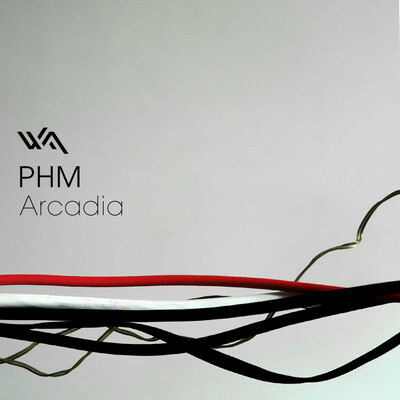 PHM keeps in accordance with Wide Angle's melodic tendencies with "Arcadia"– the title track builds from an atonal introductory phase and low frequency LFO growl into a complex mesh of melodic stabs and parametrical texture changes that uplift the soul as well as the body, making the listener yearn for exposure to "Arcadia" on a nice, loud club system. PHM's style on the EP is dominated by Lanny May-esque melodic virtuosity but with a slightly harder, dark edginess reminiscent of poorly lit clubs whose half-filled dance-floors (still too underground to cater to the tasteless alcoholic demographic) prove to hold the best live show experiences. The EP is also accompanied by a more atmospheric B-side, entitled "Utopia" and a groovy take on "Arcadia" from talented Montreal-based producer Maxime Miville–both also worth checking out. PHM's mix for Cityscape Sessions 045 is stunning–the mix's melodic content is matched perfectly by intrinsic rhythmic grooves that work wonders for both the bedroom and the dance-floor, a smooth mix worth several listens. You can download the mix for free via SoundCloud or Wide Angle's website as well as access the track list. PHM is sure to bring some excitement to fans of intellectually tantalizing, club-friendly electronic music in 2012.